Farmers have been encouraged to reduce the risk of transmitted infectious diseases between dogs and livestock. As better weather sees an increase in dogs on farmland, farmers are being advised to review their insurance details. 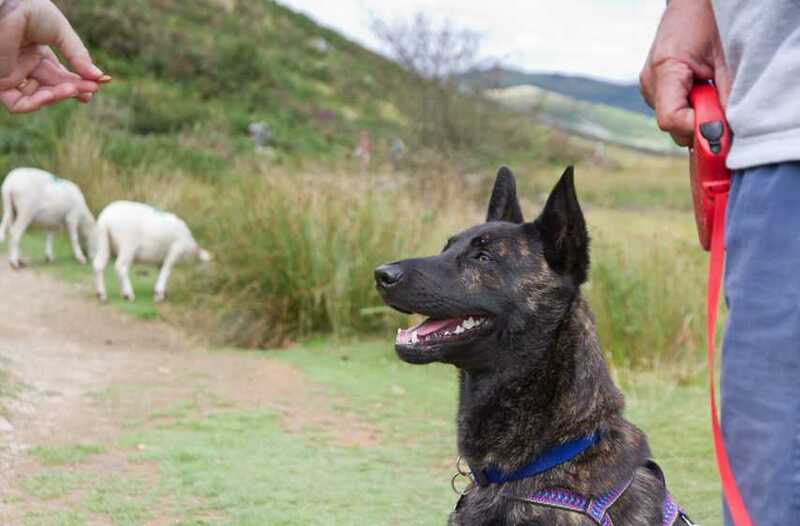 Spring not only sees the increase of work of farm dogs on farmland, it also sees more people using public rights of way to walk their dogs, and this can pose several risks to livestock. There is obviously the well documented risk of dog attacks. However, one issue that needs more awareness is the significant risk of the transmission of infectious diseases between dogs and livestock. Philip Pagin, of rural insurers H&H Insurance Brokers said: “Farm insurance does not protect farm businesses against the cost of these transmitted diseases, and its important this is recognised. In cattle, the biggest risk is the threat of Neosporosis, which can lead to abortions, reduced milk yields, reduced growth rates and fertility issues. It poses a significant challenge to UK farmers, and can be transmitted by cattle digesting the Neospora eggs on pasture, in feed troughs or in water contaminated by the infected dog faeces. The diseases most worrying for sheep farmers are sarcocystosis and tapeworms. Sarcocystosis can affect up to 75% of sheep in susceptible flocks, and lambs are the most vulnerable to disease and severe infections can be fatal. Other impacts of the disease are associated with reduced growth rates and the condemnation of infected carcasses in the abattoir. Data on the level of incidence is unknown, but it is thought to be common and, clearly, the impact can be incredibly costly to a sheep farm business. Dog tapeworms cost the English sheep industry more than £6 million in 2012 in abattoir condemnations (EBLEX 2013). This gives an indication of the cost of tapeworms on the sheep sector. It can cause severe clinical symptoms in sheep, including poor growth rates and, occasionally death. Mr Pagin said: “Firstly, clean up any dog faeces. This applies to all dogs; farm dogs included. Also, worming the dog regularly using a product recommended by a vet. These are two very easy and effective ways to reduce the spread of disease. “Dogs like to scavenge, but don’t allow them to eat fallen stock, after-birth or birth fluids from livestock and review your dog’s diet. Farmers have also been encouraged to put signs around their land, illustrating the risks of dogs to livestock and advising on ways to reduce them.